As a result of the government shutdown, Federal workers will be most affected. 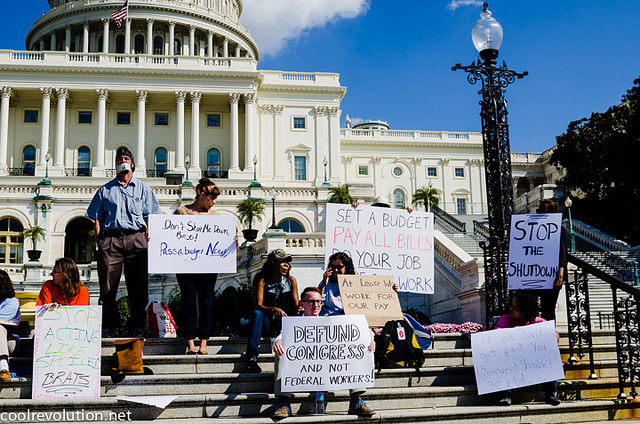 During the October 2013 federal government shutdown, approximately 850,000 individuals were furloughed per day. This figure decreased when the Pentagon passed the Pay Our Military Act putting thousands of Department of Defense civilian employees back to work. The 2013 shut down cost the federal government over 2 billion dollars, the majority of which accounted for payroll costs of furloughed employee salaries. IRS enforcement measures, federal permitting, transportation and energy projects, import and export licensing, health and safety inspections, issuance of tax refunds, federal loans, training and resource allocation for the work force, government sponsored scientific research, travel and tourism were all subject to delays and interruptions. To read the complete report issued by the White House regarding the impact of the October 2013 government shutdown, click here. To read the more about the Appropriations Resolution please click here.